Brief Synopsis – A divorce mine worker enlists the help of his brother and an incarcerated convict in a daring heist. My Take on it – I have always enjoyed a fun heist movie and wasn’t sure what to make of this one for quite a while which is why I avoided seeing it. This film features a really clever idea that works largely due to the expert pacing of the story itself. The cast is excellent (and in some cases unrecognizable) and they help keep the storyline interesting even when the plot make you doubt and wonder about the intelligence of all of those involved. Steve Soderbergh once again shows how adept he can be when creating a heist film and even though these characters and their lifestyles are so diverse from the ones in the Clooney & Company series by him, you still can see how much goes in to creating such a fun, enjoyable and intelligent heist film. This is the kind of film that will require numerous viewings in order to grasp all of the nuances of the story and I can’t wait to see it again soon. Bottom Line – Clever idea that works due to the pacing of the story. Amazing cast helps keep this interesting even when the plot makes you doubt the intelligence of them all along the way. 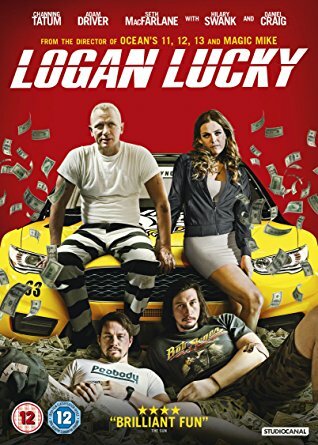 Soderbergh once again shows how adept he is when making a heist film eventhough this is the exact opposite of the high class ones he made with Clooney and co. Requires numerous viewings in order to take it all in, so I’m due to see it again sometime soon. Recommended! Ah Rob so glad you enjoyed this one. Like you, I’d initially avoided it but also found it worked so well. What a clever story. tnx 4 the recommendation. Glad I finally got to see it!